Under Construction;This modernly designed, two-story plan feels open and spacious as soon as you walk in. The large open-concept downstairs includes a well-appointed kitchen, separate living room and dining room, and an outdoor patio. The kitchen features a large center island perfect for bar-style eating or entertaining, a pantry, and plenty of cabinets and counter space. The well-appointed kitchen comes with all appliances including refrigerator, built-in dishwasher, electric range, and microwave hood. The two-car garage conveniently leads into the kitchen. Downstairs there is also a bedroom at the back of the home, with a separate four-piece bathroom. Upstairs, the oversized owners suite can easily fit a king size bed and includes a large walk-in closet and ensuite bathroom with double vanity. Three other bedrooms share a second upstairs bathroom, and a loft provides extra area for work or play. The laundry room is located upstairs for convenient access and comes equipped with included top load washer and dryer. 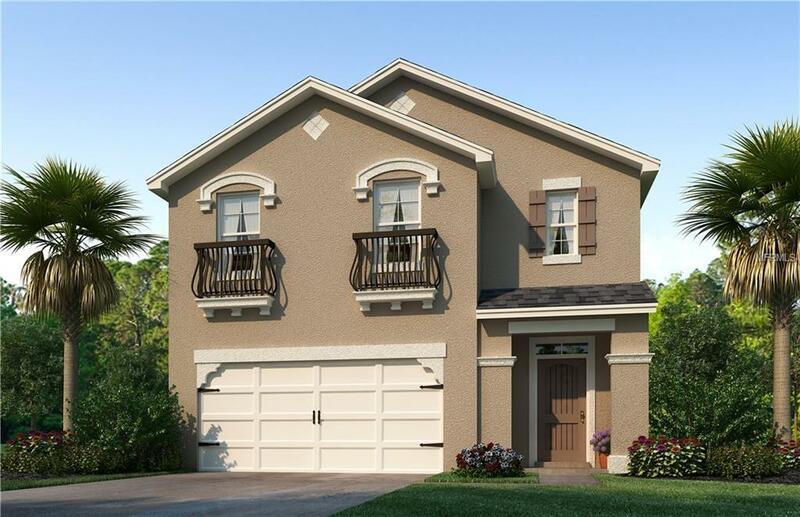 Two additional closet on the upstairs landing provides even more storage space.Other quick inventory options available in this community and others nearby.Pictures, photographs, colors, features, and sizes are for illustration purposes only and will vary from the homes as built. Home and community information including pricing, included features, terms, availability and amenities are subject to change and prior sale at anytime without notice or obligation. Amenities Additional Fees No Additional Fees Amenities included in Hoa Fee Are A Playground Covered Pavilion With Picnic Tables Barbecue Grills Fenced in Dog Park. Pet Restrictions Domestic Animals. More Than 2 Pets Requires Hoa Approval.